It was 10:35 in the morning. The sunlight snuck in through the crack between the wall and the window blinds, landing directly onto her face. She squinted and rubbed her fingers over her eyes in an effort to shake the heaviness that remained on her eyelids. That movement alone singled her small dog, whom had been sleeping next to her, to stretch his furry front paws in front of himself while his giant tail fanned and thumped against her side. She let out a deep yawn as she patted the dog’s head and willed herself to sit up. The decision to have a second glass of sangria the night before lingered lightly on her temples. She stood up and walked out of the bedroom, the small dog following her as he always did, tucking her overgrown bangs behind her ears and nearly tripping over the black cat that suddenly plopped itself at her feet. After steadying herself, she walked over to the back door, pulled it open with more effort than should have been required, and scooted the small dog outside. She turned and made her way into the kitchen, where she removed two slices of bread from the bread bag, and placed them into the old toaster so that it could work it’s magic. While the toaster buzzed away, she grabbed a glass and made herself some coffee, enjoying the familiar smell of caffeinated awesomeness. 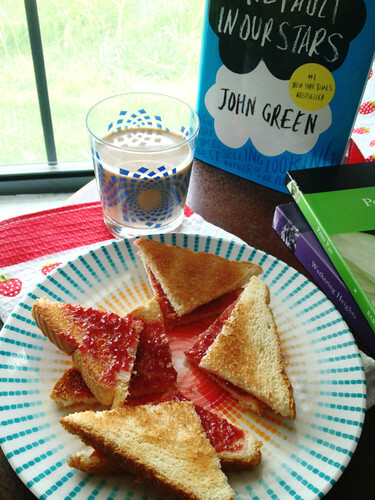 She moved back to her bread, now toast, and spread some raspberry preserves on both slices. 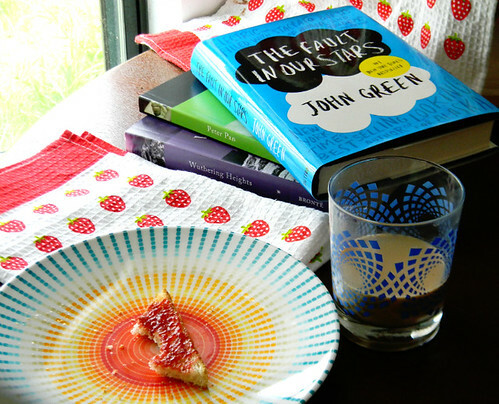 She took care to cut the toast into fours because she felt that it made the toast tastier, irrational as it may seem. Posted in ConfessionsTagged FPBookmark the permalink. Ooooooo daughter . You really should write a book. Your so sweet. You are great at 30!